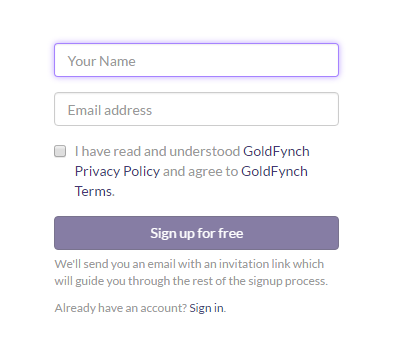 Signing up for GoldFynch is quick and easy. 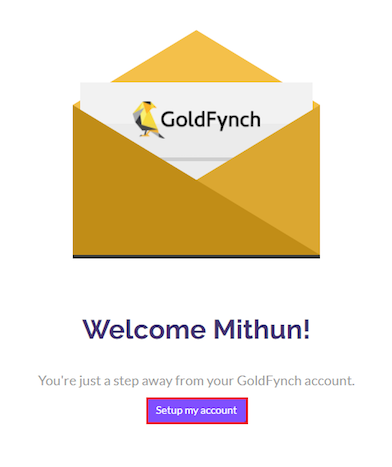 Follow these steps to get started. 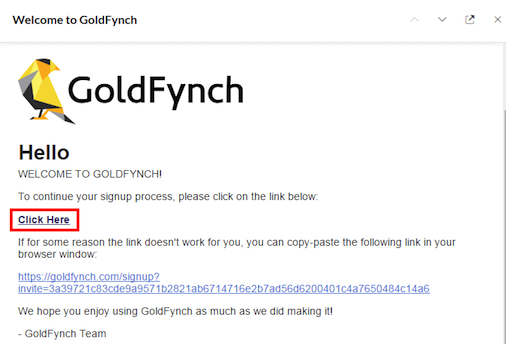 Note: Remember this will be the email where you will receive all official GoldFynch notifications. Step 8. 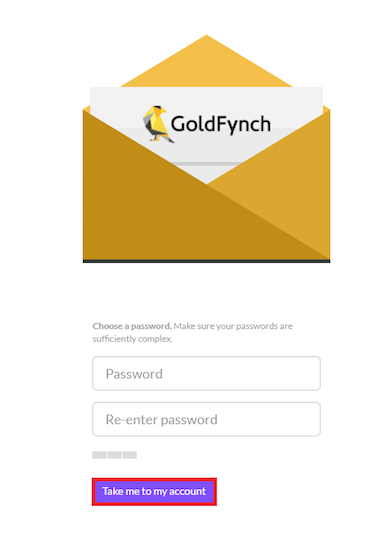 Choose a password for your GoldFynch account and click the "Take me to my account" button.